Capture the excitement of the swirling leaves of fall with the Autumn Bloom Pillow. 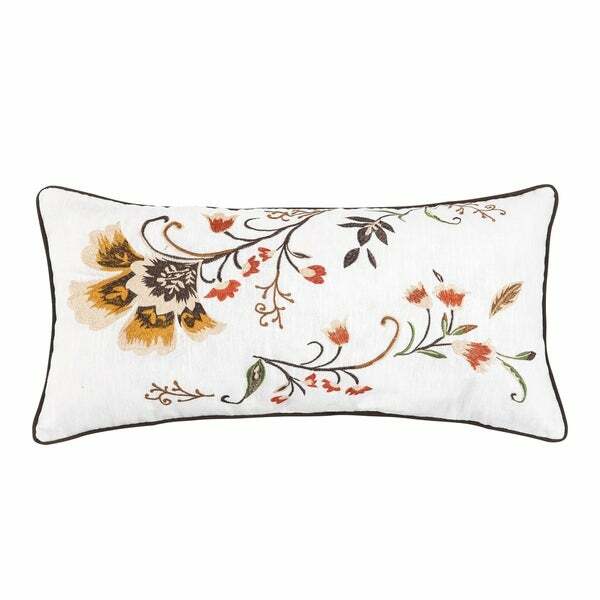 With detailed floral embroidery on a crisp white background, all framed by a decorative piped edge, this pillow is rich yet airy. Pair this beautifully detailed lumbar pillow with coordinating accents and textiles for a elegant and sophisticated look. Crafted with a linen/cotton blend cover and polyester filling for loftiness. Spot clean. Dimensions 24.0 In. X 12.0 In. X 3.0 In.